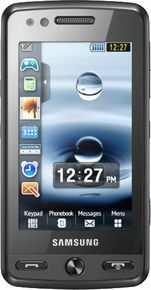 Samsung M8800 Pixon is currently not available in any stores. Watch your favourite video songs and movies in video player. It supports MPEG4, WMV, DivX, XviD file types. Listen to your favourite songs in music player. It supports MP3, AAC, eAAC+, WMA etc. file types. We really loved the Samsung F480 and we were more than happy to welcome its successor. Now, if you look at it that way, upgrading the Tocco is a serious task but the Pixon seems well up to it. It's true though that quad-band GSM support and accelerometer are the only non-imaging related upgrades. The rest - 8MP camera, high-res video recording, DivX/XviD playback, and TV out - leave no doubt that the Pixon is all about multimedia.